A native of Canada, Nick Kilmer, MD joins the faculty of the Department of Family Medicine as Assistant Professor of Family Medicine. He previously served on the faculty of Phoebe's Southwest Georgia Family Medicine Residency in 2002. Board certified in family medicine and in sports medicine, Dr. Kilmer served as team physician for Albany State University and several area high school's athletic teams. Dr. Kilmer received a Bachelor of Science in Physical Therapy with distinction from McGill University in 1989 and completed McGill University School of Medicine in 1993. 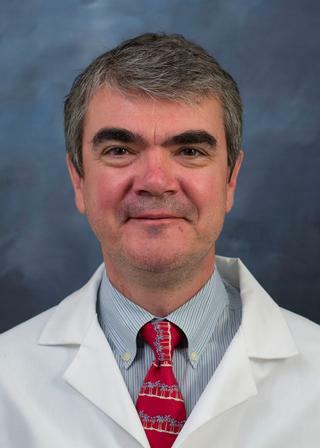 He completed a surgical intership at Medicial Center Hospital of Vermont in 1994 where he also served as a staff physician and research assistant until 1996. Dr. Kilmer completed a Family Medicine residency at Pennsylvania State University in 1999 and the University of Maryland Primary Care Sports Medicine Fellowship in 2000. In addition, he served as the student health and team physician for Bowling Green State University for 2000-2002. Bryan; Coleman; Blueitt; Kilmer. "Bladder Problems in Athletes". Current Sports Medicine Reports. 2008; .